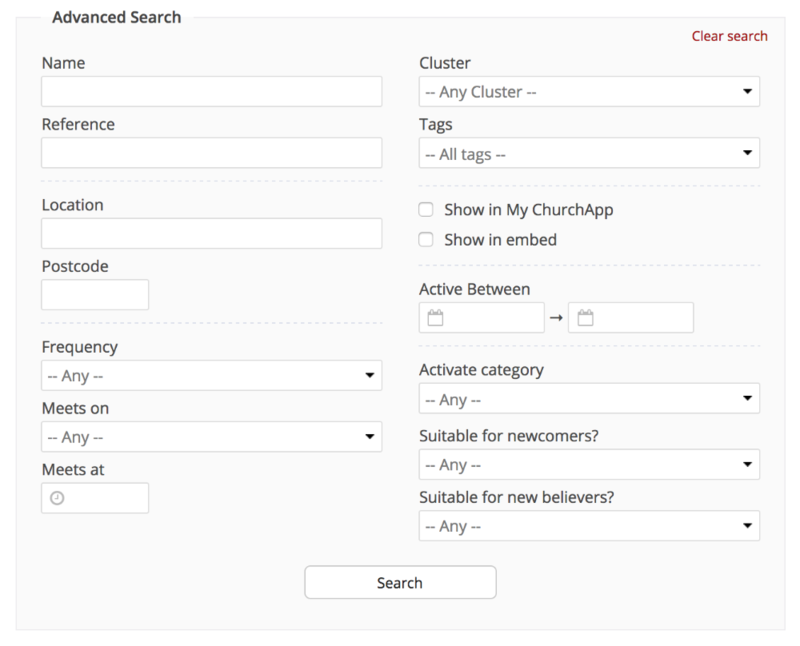 While we've tried to anticipate the most common field needs of those coordinating administration in churches, it's sometimes the case that a church may want to record information that doesn't comfortably fit in any of the categories, fields or sections already available in ChurchSuite's admin-facing system. For example, maybe your church has a real emphasis on communal meals, and so a section in the Address Book where dietary requirements can be logged against contacts would be helpful. Or maybe you'd like space to hold additional contact information such as social networking details e.g. Twitter handles. 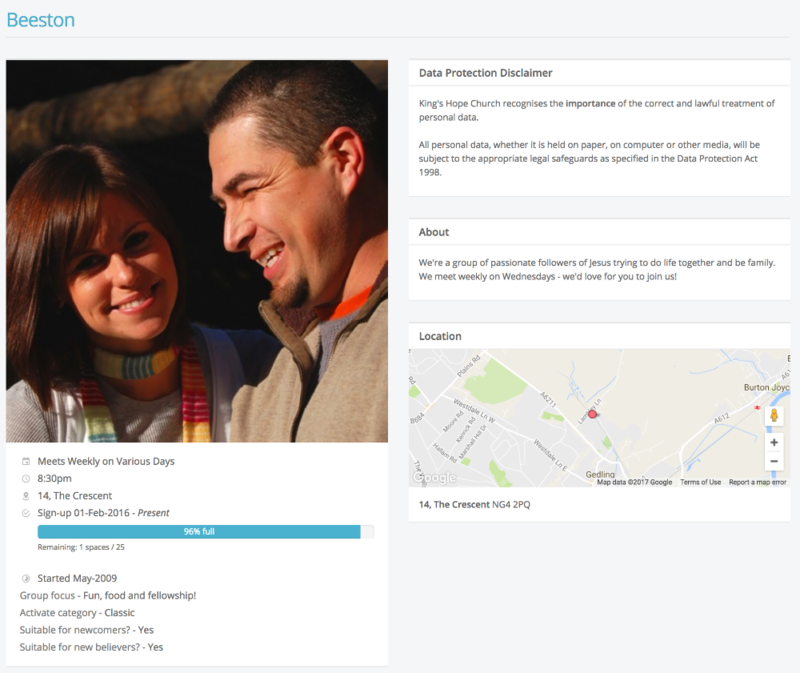 To cater for this, you can create Custom Fields within the Address Book, Children and Small Groups modules. You can select from a variety of data formats - single sentence (free text), paragraph (free text), drop-down list (only one option from the list can be selected), radio list (one option must be selected from the list, but can exist with no value selected when a contact is created; but once a value is selected you can only toggle between values and never reset to no value selected), checkbox list (select none, one or multiple options) and dates (in your local regional date format). And within the Address Book module only, you can also create custom fields that link to another Address Book contact - ideal for storing a contact's spiritual mentor or primary pastoral care contact, for example. Currently you can create up to ten Custom Fields within each module. 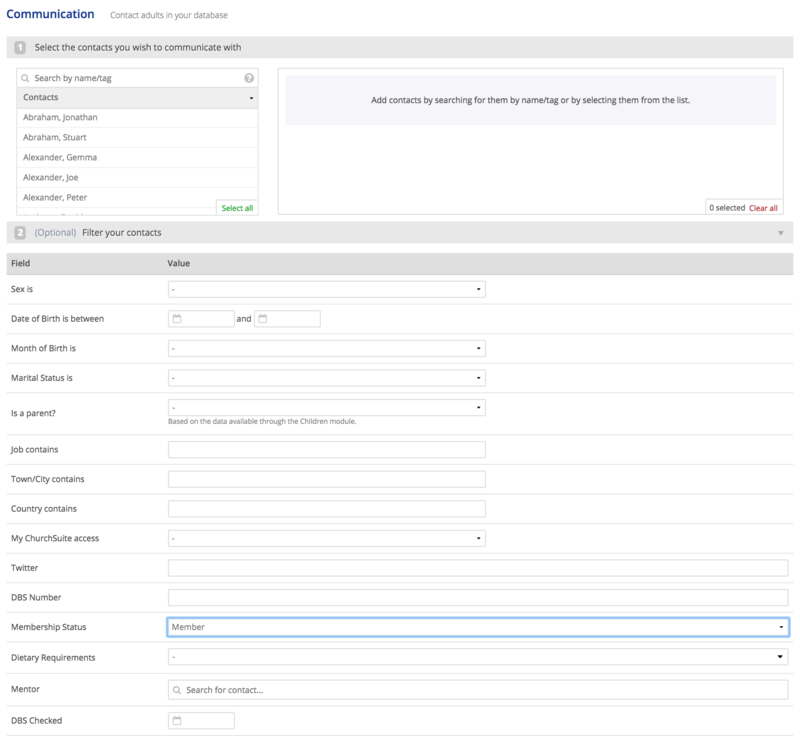 The process of enabling and labelling Custom Fields is the same in all three modules. All Custom Fields can optionally be set visible (and editable) in My ChurchSuite through each module's "My ChurchSuite" settings. 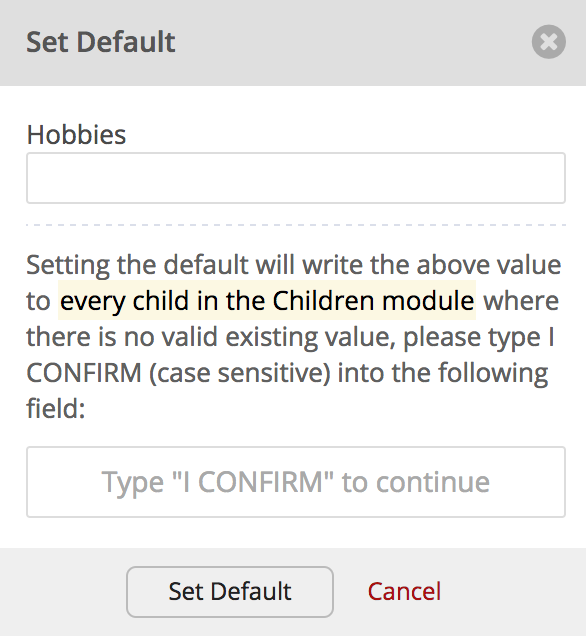 Additionally, Children module Custom Fields can be optionally set visible in the Admin Area of the Child Check-in system for your leaders - this is done in the Children module "Connect" settings. And lastly, Address Book module Custom Fields can be set editable in both the Connect "My Details" platform and the web-embeddable Address Book newcomer connect forms. When you move someone between the Address Book and Children modules, any custom fields that are present in both modules will be retained after the transfer. As long as the custom fields match in name, type and options, the data will be carried between the modules. Custom fields not present in both modules are not retained. Importantly, Custom Fields are fully searchable and are included in each respective module's Advanced Search functionality. They can be also be included in each module's CSV export function, and they can be specified as conditions within Smart Tags; so you can ask questions of your data and match results based on the contents of Custom Fields. You can also add/edit custom field values as an action within a Flow. Finally, the Missing Data report, found in the Address Book and Children module reports, can be used to identify missing data in any of your custom fields (i.e. where the custom field has no data). To create Custom Fields you will need Manage module or Administrator permission to access the module's setting - denoted by the visibility of cog-wheels in the top-right corner of a module. To create a Custom Field simply click on the module options cog in the top right-hand corner of the page for each respective module. You'll need manage module or Administrator permissions to access this feature. On the 'Module' tab, scroll down to 'Custom Fields' section. Give your Custom Field an appropriate name, select the field format "Type" from the drop-down list and set the appropriate "Options" for your field. With the exception of Checkbox and Contact "Types" you can also set whether the custom field is a "Required" field. ..."Batch Update" allows you to set a default value to be assigned to all contacts/children/groups in your existing database where there is no valid existing value. The default value(s) you can specify for batch update will obviously depend on the field type you have selected - in the example below, Hobbies is a "Single Sentence" type. When changing an existing Custom Field from one format to another, ChurchSuite will often be able to help with the change of data type. 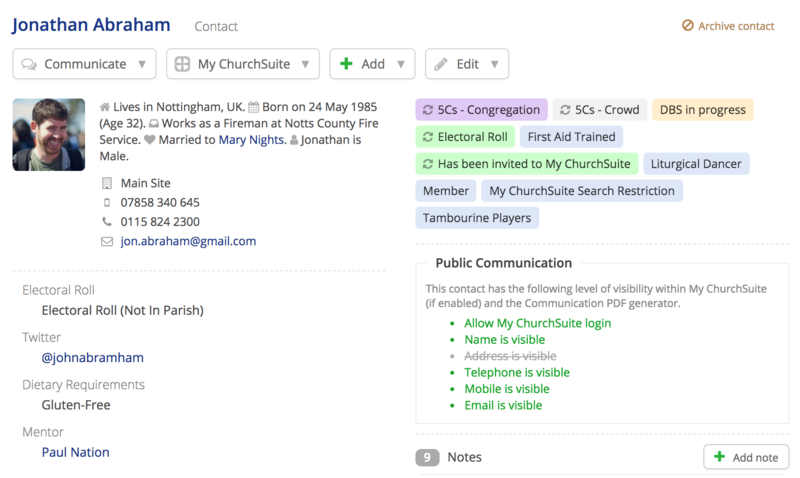 For example, when changing a "Single Sentence" type to Checkbox List, Radio List or Drop-down List, ChurchSuite will automatically populate a list of options based on your existing data, creating an option for each unique entry found against your existing contacts. Note about changing custom field "types"
While no data is lost when changing a field format from one type to another, it is possible that your data may have existing values that are not compatible with the new field type you are selecting e.g. you may have text values in your data that are not compatible if the field type is changed to a Date type field. In this instance, the original values against your contacts are maintained, however the original value would be removed if it is not compatible when the contact is edited and saved. This incompatibility scenario is most likely to occur when changing any existing field type to a Date or Contact type. Dates should be in your local date format, so if you have a Date custom field for your locale that is mm/dd/yyyy, but you have existing dates like 1st Jan 2018, this will obviously not be compatible. Similarly, if you have a checkbox type where multiple options are selected in your data and you move to a radio or drop-down select type then only the first selected option (by option order) will be maintained. Importantly, your contact/child/group data must have custom field values in a format that is compatible with the custom fields and options you have set in the module settings. To avoid loss of important information when changing existing custom field types, you might find it helpful to first export your data to a CSV file. Go the module's Communication menu and select the CSV export option for all contacts/children/groups (depending on the module). Make sure you select your custom fields in the CSV export options. This file will give you a permanent record that you can return to or use to help you update existing data that has field values in an incompatible format. Having created your Custom Fields, be sure to click "Save Changes" before navigating away from the module settings. ...and you'll see your custom fields when viewing a contact's profile page. Once you have set up Custom Fields you can use the Advanced Search feature to search contacts or children based on those fields. 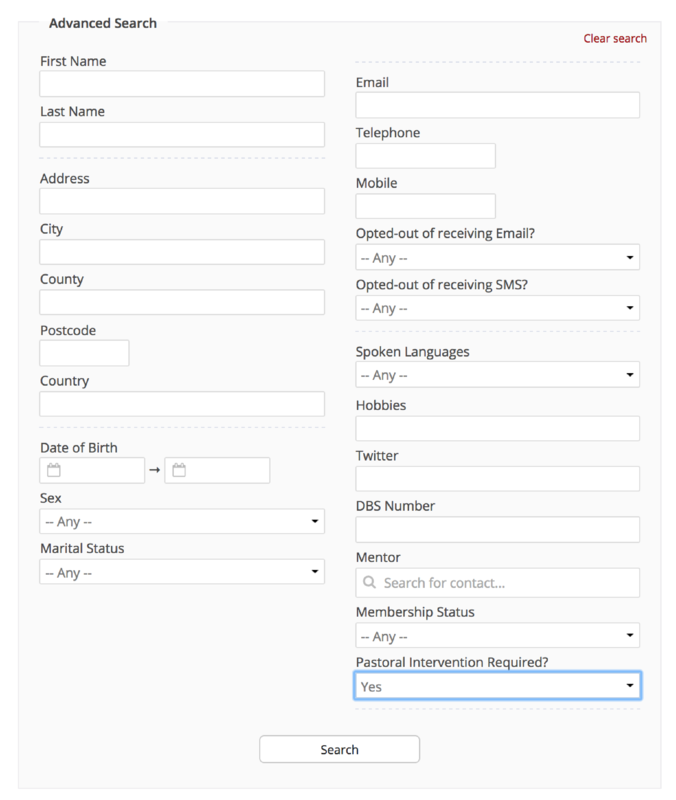 So, for example, if you want to find out who currently requires a pastoral intervention, you could simply use Advanced Search and see who has the "Pastoral Intervention Required?" custom field set to "Yes". When you move a contact between the Address Book and Children modules, any custom fields that are present in both modules will be retained. As in the Address Book and Children modules, you can also create Custom Fields in the Small Groups module too. For example, you might have a custom fields for group focus, or whether the group is suitable for new believers or newcomers to your church. Before custom fields can be assigned to groups they must first be created in the Small Groups module settings (Cog-wheels in top right corner of the Small Groups module page). Scroll down to the Custom Fields section and add in your desired Custom Fields. Depending on the custom field "Type" you can set "Options" for a field, and also whether the field is a required field. When changing a custom field from one format to another - as with Custom Fields in the Address Book and Children modules - ChurchSuite will often be able to help with the change of data type. 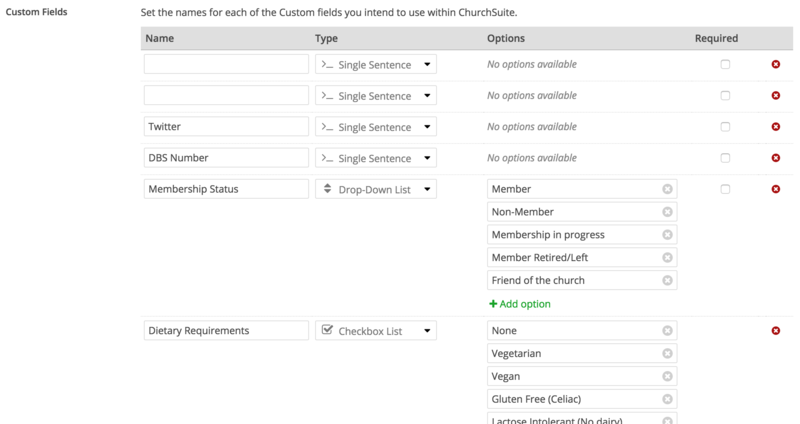 For example, when changing a "Single Sentence" type to Checkbox List, Radio List or Drop-down List, ChurchSuite will automatically populate a list of options based on your existing group data, creating an option for each unique entry against your groups. Save any changes before leaving the settings page. Having created Custom Fields these are visible on the small group "edit" page. Set the custom field values for the group and save the changes. You can also set whether those fields show on the public-facing group page within My ChurchSuite. Back in the Small Groups module settings, click on the My ChurchSuite tab and scroll down to Custom Fields. 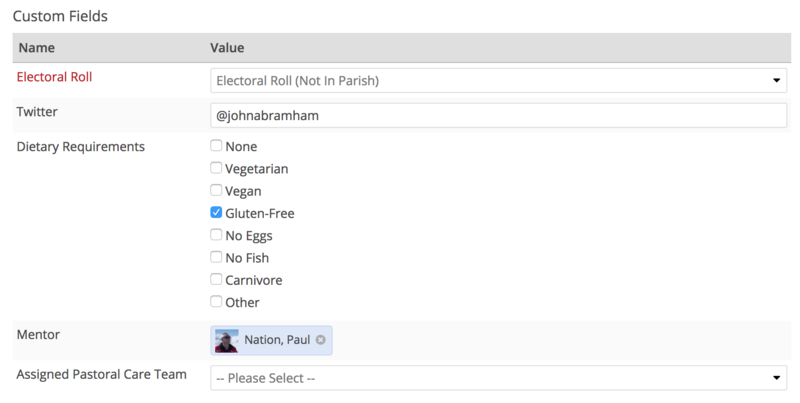 Set each custom field as viewable by My ChurchSuite members (and/or editable by those assigned with "Edit Group Details" role permissions) as required. ...And you can set whether your custom fields are visible on the public-facing group page within small group Embed. Again, in the Small Groups module settings, click on the Embed tab and scroll down to Custom Fields. Set each custom field as visible as required. Now, when viewing the public-facing group page, your viewable/visible custom fields are shown. You can also reference Custom Fields in the Small Groups module Advanced Search. And you can use small group Custom Fields as conditions within Smart Tags.